Countryside offer a range of French doors suitable for the architectural, commercial, public, new build and retail markets. Our doors are designed for use as open out or open in, single or double doors, internally or externally beaded with sidelite options for domestic and/or commercial applications. Doors are available with polyamide thermal barrier for high performance thermal efficiency. At Countryside Windows, our range of external doors is top notch and the high quality materials we use in all of our products means that they will last a lifetime. A clear example of the sort of glazed doorways we make are our extremely durable aluminium French doors. For superb doors south west residents can rely on, our aluminium-framed products are just the thing. Because aluminium is a strong material, when extruded to make window and door frames, it can have an incredibly thin profile. This means that doors manufactured from it are made up of more glass and less frame. Allowing light to flood into your home, as well as affording improved views onto your garden, patio or balcony, aluminium frames for French doors are remarkable because they are so subtle. Of course, unlike some other materials, aluminium French doors offer an architecturally pleasing installation either for new builds or when retro-fitted to a home. Thanks to their incredibly straight and clean lines, as well as being able to be finished in a variety of colours, they are just as suited to domestic settings as they are to commercial buildings. Available as single or double doors, these products allow for a significant amount of access between the indoors and the outdoors. 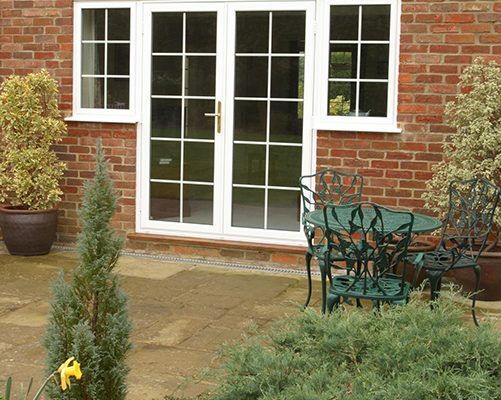 If you are trying to make a connection between the internal and external spaces of your home or office, then French doors really are the preferred option. With the choice of inward or outward opening doors, virtually any space you can think of will be improved by the addition of a set of aluminium-framed glazed doors. When looking for aluminium doors south west homeowners can often worry about the thermal properties of the framework. Although aluminium is a perfectly good material to use for housing double glazed units, it tends to conduct heat. This can cause problems of heat loss to the outside during the winter months or, conversely, allowing too much heat to penetrate your home when it happens to by sunny. Nevertheless, at Countryside Windows, our aluminium frames are fitted with thermally insulating polyamide barriers. When installed out of sight inside an aluminium frame, these strips are able to prevent unwanted heat loss to an extremely high degree. The technology is tried and tested in a wide variety of aluminium frame types, so you can rest assured your energy bills won’t go up as a result of new aluminium French doors being fitted by us. Among the many advantages that aluminium framed doors afford is that they are hard to gain unwarranted access through. Unlike some other materials, aluminium can be extremely tamper proof. 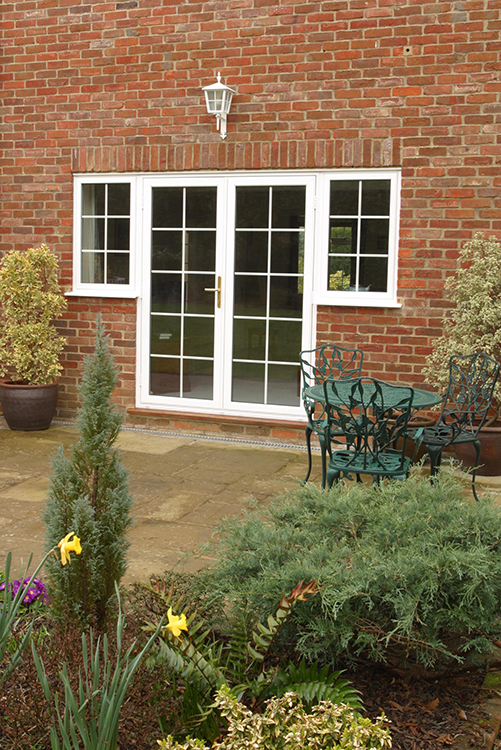 They make for a perfect seal between your home or office’s brickwork and its glazing. Along with out state-of-the-art hinges and locking mechanisms, this means that your property will remain completely secure and it could even lead to you paying less for your insurance premiums. Some of our products can also be sold with side lights to add to their visual appearance and make them even more secure. To find out more, please do not hesitate to contact us.